Sinceramente no habia visto el triangulo pintado sobre el capot. Estas fotos las encontre con ayuda del telefono y se me complica visualizar detalles. Solo habia visto la inscripcion EP 9938. En un par de meses ya dispondre de mi PC (eso espero). 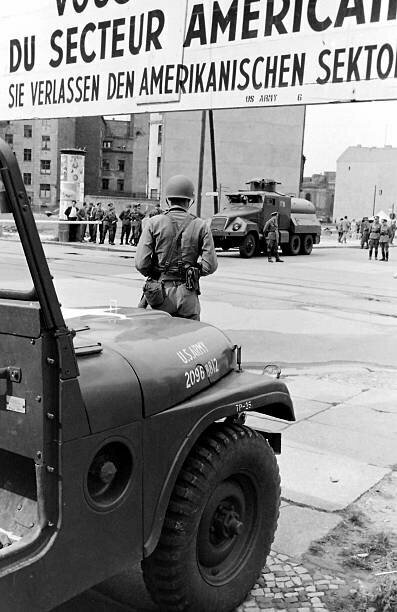 Un M38A1 de la Policia Militar en Corea. 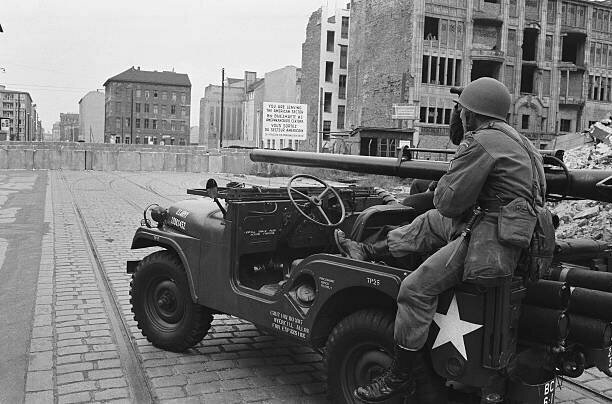 Fotos tomadas en Berlin, en cercanias del muro y en el checkpoint Charlie. 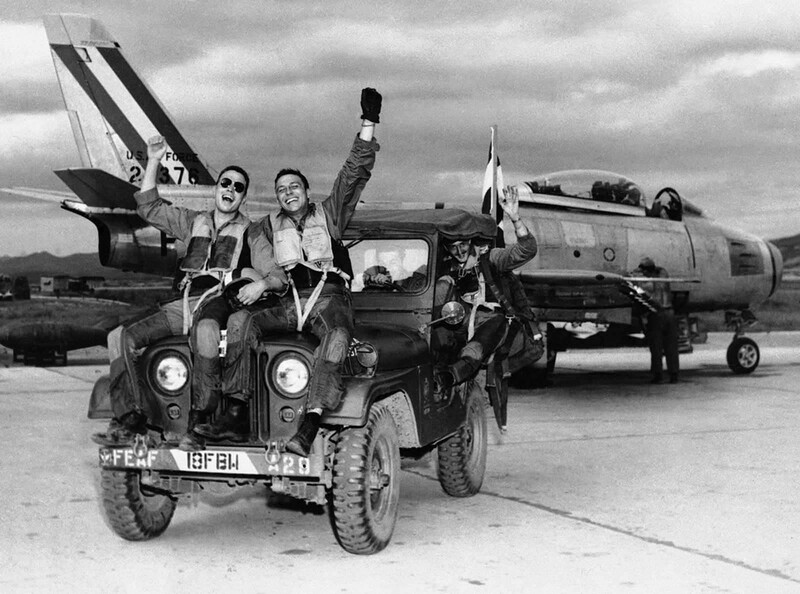 Three happy fliers of the 18th Fighter Bomber wing let the world know how they feels as they returned from a combat mission over North Korea to learn of the armistice signing on July 29, 1953. Left to right are: 2nd Lt. John Putty, Dallas, Tex. 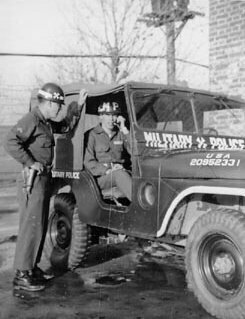 ; 1st Lt. James A. Boucek, Ottawa, Kansas,: and 1st Lt. Richard D. Westcott, Houston, Tex., waving from the back seat of the jeep.